Combining speed, stability, and open space, the Pursuit provides a fishing experience without compromise. Combining speed, stability, and open space, the Pursuit provides a fishing experience without compromise. Loads of stability and great paddling performance in skinny water, open water, and moving water will take your fishing to new heights. The Pursuit’s platform-style design is packed with integrated features that allow you to customize your Pursuit – rigged up, stripped down, or anywhere in between. 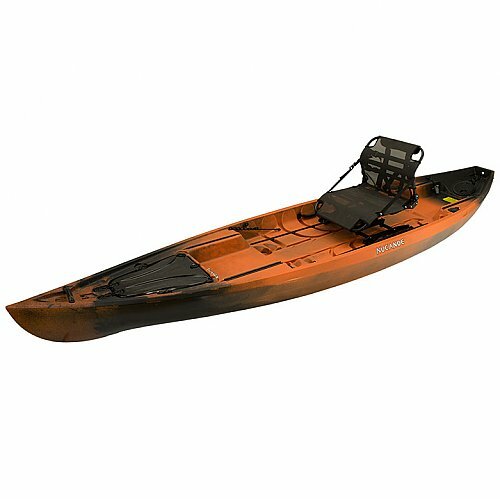 The Pursuit’s Custom Height Pinnacle Seat sets a new standard for fishing kayaks – its performance and comfort are unmatched.